The White House announced today that the president will end the DACA (Deferred Action for Childhood Arrivals) program in six months. Along with many of my fellow university presidents, I urge Congress to act quickly to restore DACA through legislation. In November I signed a statement, along with more than 600 other college and university presidents, expressing my support for the DACA program. This is a policy that protects from deportation undocumented young people raised in the United States, including hundreds of thousands of undocumented college students. DACA students have grown up in this country, worked and studied hard, and are an important part of university communities. 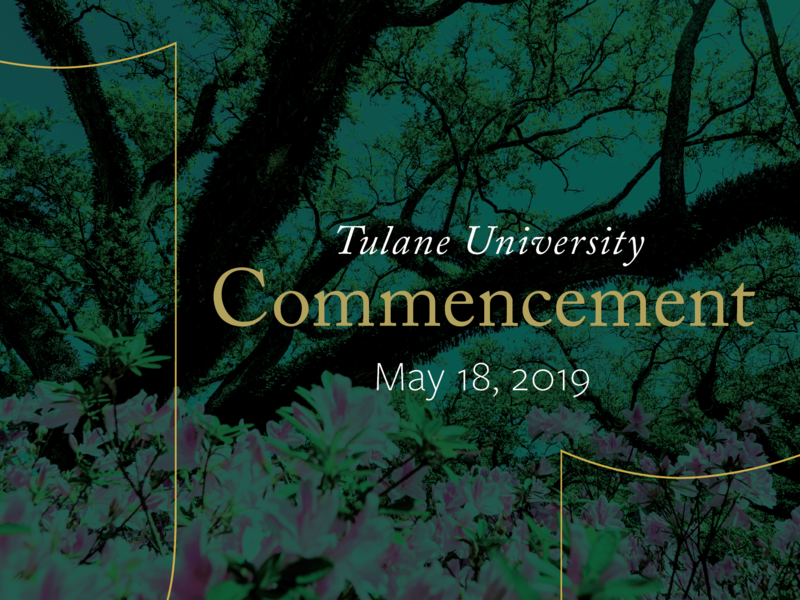 We continue to welcome them as an important part of Tulane University. In the meantime, I know that our students who registered under DACA will be understandably upset and anxious. Let me clarify, as much as I can, our own university policies, and you can find more guidance on this web page. Other than international students here on student visas, Tulane does not track the immigration status of our students. Our admission and financial aid policies will not be affected. Further, federal law protects the privacy of student information. In accordance with the Federal Family Education and Rights of Privacy Act (FERPA), we cannot and will not voluntarily share private information about any of our students unless we are specifically required to do so because of a duly issued warrant or subpoena. While we cannot bar representatives of federal agencies such as Immigration and Customs Enforcement or Customs and Border Protection from entering our open campus, I can assure you that it is not the responsibility or the role of the Tulane University Police Department to conduct federal immigration enforcement. Our new Office of Academic Equity, the Office of Multicultural Affairs, and the Office of International Students and Scholars are available to provide information and counsel for students who may have concerns about their status. We will continue to monitor the situation and determine if there are other things we can do to support DACA students. I hope that the rest of the Tulane community will understand why some of our students feel particularly vulnerable right now. This is a moment to renew our commitment to treat one another with dignity and respect, and to communicate across our political differences. It is a moment for all of us to learn to discuss issues with those who disagree with us, whether from the left or the right, and to listen to them with an open heart. The Office of International Students and Scholars in collaboration with the Undocumented Student Support Committee (USSC) has launched the International/Undocumented Student Emergency Fund. Any Undocumented/DACAmented Tulane student is free to apply for emergency assistance. Click here to find out more, apply, or donate. We recognize the strength and resiliency of our students and want to remind you that CAPS is here for you as a confidential resource for mental health support. We are a multicultural and multidisciplinary staff committed to being accessible to all students, and adhere to confidentiality statutes established by the State of Louisiana as well as our various professional ethical codes of conduct. Without the student's written permission, confirmation of appointments and the release of the content of discussions with counselors--including immigration, visa, and resident status--cannot legally be disclosed to anyone outside of the CAPS staff. What is the Deferred Action for Childhood Arrivals Program? On June 15, 2012, the Secretary of Homeland Security announced the creation of the Deferred Action for Childhood Arrivals (DACA) program. Under this program, undocumented students who came to the United States as children and meet certain guidelines may request, through a formal process, to receive a two-year, renewable authorization to remain and work in the United States. In order to be eligible for consideration of deferred action, the individuals must prove, through verifiable documentation, that they meet the guidelines. Determinations will be made on a case-by-case basis under the guidelines. A high school diploma or GED is required for DACA. An Immigrant youth who has obtained benefits under the Deferred Action for Childhood Arrivals program may be referred to as “DACAmented.” It is important to note that DACA does not pave the way towards citizenship. Tulane University encourages all students, regardless of citizenship status, to apply, including undocumented and DACA status applicants. College applications can be an intimidating process and we want you to know that we are here to help you along the way. Questions regarding applying to Tulane as an undocumented undergraduate student can be directed to Jeff Schiffman, Director of the Office of Admissions. Questions regarding applying to Tulane as a graduate student can be directed to the specific department or program being considered. All admission and funding-related matters are handled individually by departments, programs, and schools, and can vary depending on the type of degree being considered. Contact one or more individuals with the title of Director of Graduate Studies, Program Coordinator, Chair, and/or Graduate Admission Officer in the relevant department. Please be aware that undocumented and DACAmented students may face barriers in completing certain programs of study. For example, programs that require a practicum or licensure may be restricted based on Louisiana law to U.S. citizens or permanent residents. Contact your advisor to discuss your possibilities. DACAmented students are eligible for some non-work study student employment opportunities (not eligible for federal work-study positions). Please refer to the Student Employment website. Questions regarding student employment can be directed to Luis Behrhorst at the Office of Human Resources. Additionally, DACAmented students may be eligible for external, paid internships. However, it is important to note that some internships may have permanent residency or citizenship requirements, so be sure to check with the employer. UndocuAllies are students, faculty, and staff that have completed an UndocuAlly Training Session facilitated by members of the Undocumented Student Support Committee. UndocuAllies are committed to acting as allies to Tulane's undocumented/DACAmented population and to keeping all information regarding undocumented/DACAmented status shared with them confidential. Although Tulane’s Office of International Students and Scholars works with students in F-1 or J-1 status, Tulane University does not offer legal advice regarding students’ immigration status or eligibility for DACA. Students are strongly encouraged to seek professional advice and/or counsel from an immigration specialist or attorney for all legal matters related to their immigration status. There have been numerous reports of DACA applicants paying large service fees to fraudulent individuals claiming to help with immigration services. The Department of Homeland Security has resources to help applicants avoid scams and find appropriate assistance.